IRISH TEENAGERS DRINK less often than the European average but when they drink, they consume more than many of their counterparts. According to new comprehensive research by the European Monitoring Centre for Drugs and Drug Addiction, about 50 per cent of 15 and 16-year-olds had taken an alcoholic beverage in the 30 days prior to the questionnaire. But only about one quarter (23 per cent of boys and 27 per cent of girls) said they had drank alcohol three or more times in the past thirty days. Just four other countries had lower percentages than Ireland in this category. 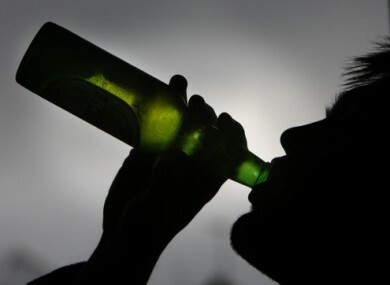 Greece was top of the list with over half of boys saying they had consumed alcohol more than three times in the month. However, on the occasions when they did drink, the Irish teen consumed an average volume of 6.7 centilitres, compared to the European average of 5.1 centilitres. Only Denmark, Finland, Norway and Sweden’s 15 and 16-year-olds drank more on their last day of drinking when asked by researchers from the European School Survey Project on Alcohol and Other Drugs (EPSAD). In Ireland, 40 per cent said they had consumed five or more drinks during one occasion in the 30 days prior to being surveyed. This ‘heavy episodic drinking’ had increased among girls Europe-wide in 2007 but has dropped back slightly in the past five years. In Ireland, figures were about the same for boys and girls. They were also on par with what is being seen in other countries, said chief researcher in Ireland Dr Mark Morgan. Ireland scored relatively highly – about 0.5 above the average- when intoxication levels were examined. Girls scored slightly higher than boys when asked about their drunkenness levels during the last time they consumed alcohol. However, comparing the use of alcohol by teens last year and in the previous study of 2007, researchers found a significant decrease throughout the country. Most students across Europe associate their alcohol consumption with having fun. Other positive consequences of drinking included ‘forgetting problems’ and ‘feeling relaxed’. Among the negative consequences listed were hangovers and feeling sick or regretful. Ireland, however, had high figures – over 65 per cent – of students indicating they had a good time when drinking. Of those who were surveyed, 47 per cent of boys said they had been drunk at least one and 51 per cent of girls said the same. Ireland differs from its European counterparts on many factors, especially on the lack of a gender gap. With regards to averages, the proportion of boys and girls who have been drinking in a bar or disco remain about the same. Most individual countries see more boys than girls drinking in an establishment, except in Ireland and Monaco, where the opposite is true. A huge majority of between 84 and 85 per cent of boys and girls believed it was “fairly easy” or “very easy” to get access to alcoholic beverages. Beer was seen as the easiest drink to avail of, followed closely by cider and then wine, spirits and alcopops. However, only a quarter of students said they had bought any of the drink themselves in a store or off-licence. Spirits and wine are more popular choices for girls but boys prefer cider and beer. About 35 per cent of those surveyed said they had tried alcohol before then turned 13. The survey was undertaken in 36 European countries to monitor trends between nations. It is the fifth such survey to be carried out since 1995. European statistics showed that in all countries, except Iceland, at least 70 per cent of students have drank alcohol at least once in their lifetimes. The average was much higher at 87 per cent. The research also looked at drug use students aged 15 to 16-year-old and found that even though “two or three key variables differ from the average, Irish students’ overall substance-use habits do not seem to differ all that much from the ESPAD average”. Email “Irish teens drinking less often than European counterparts”. Feedback on “Irish teens drinking less often than European counterparts”.